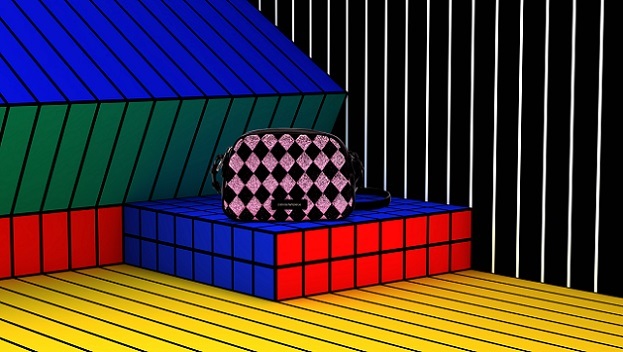 The New Pop of Emporio Armani Meets the New Pop of Artist Camille Walala. Pop is like a mirror effect: inspiration is condensed into an object, which becomes contextualized in a new and amplifying setting. 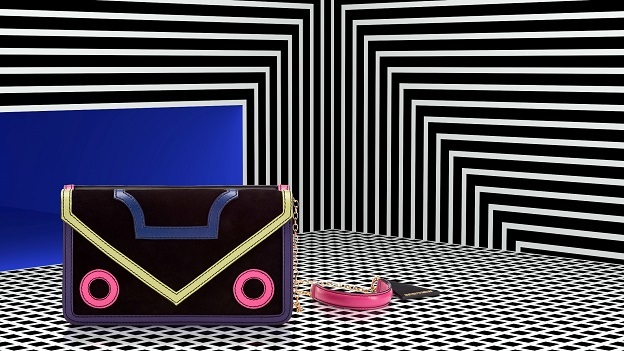 The new-pop of Emporio Armani meets the new-pop of artist Camille Walala in six specially-conceived works of art and a video that, like a kaleidoscope, multiply and refract the pop style of the accessory collection, while adding the sense of movement of optical and kinetic art. 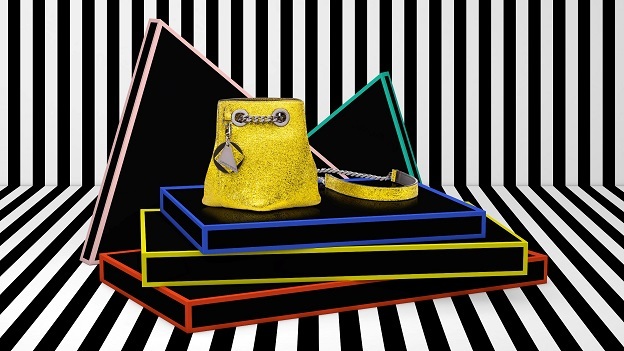 Emporio Armani's fall/winter 2016 accessories, featuring vibrant colours, rhythmic geometries, and a sense of pure visual joy, thus effortlessly become the protagonists of the French artist's compositions: a blaze of tribal stripes, intense colours, and radiant patterns. There is an uncompromising continuity between the aesthetics of Camille's work and the intended purpose of Emporio Armani's pieces, which translates into images of unmistakable visual impact. 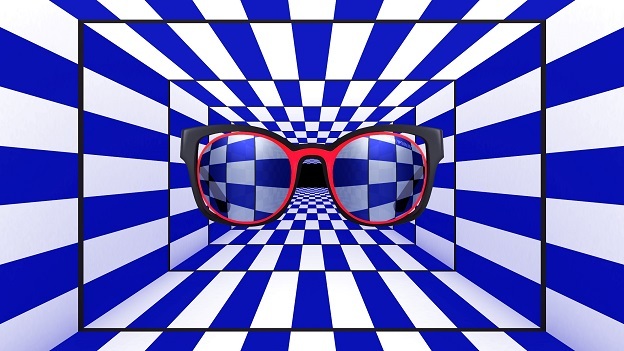 This new context strengthens the authenticity of a message that derives, first and foremost, from the choice of a genuinely contemporary visual language: instant and unforgettable.